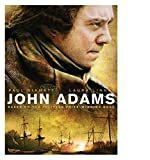 See all DVDs This seven-part epic miniseries event explores American history through one of its greatest founding fathers, a fiercely independent spirit whose unwavering vision steered America through a tumultuous period. 1 1x01 Join or Die |edit 2008-03-16 Discuss episode! 2 1x02 Independence |edit 2008-03-16 Discuss episode! 3 1x03 Don't Tread on Me |edit 2008-03-23 Discuss episode! 4 1x04 Reunion |edit 2008-03-30 Discuss episode! 5 1x05 Unite or Die |edit 2008-04-06 Discuss episode! 6 1x06 Unnecessary War |edit 2008-04-13 Discuss episode! 7 1x07 Peacefield |edit 2008-04-20 Discuss episode!